Pilot embraces this cost-efficient approach. 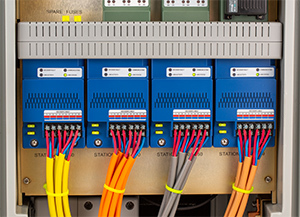 Pilot two-way modules are available with 1-, 2-, 4-, and 6-station outputs, making it possible to run each head on an entire green with a single device. In all, TWMs let you operate about 1,000 stations up to 2 kilometers from a single hub. 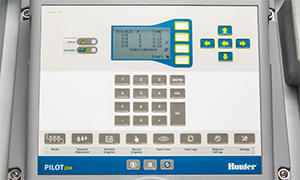 Pilot two-way modules include built-in surge suppression, colour-coded wire connections, true independent station control, programmable station addresses, and two-way feedback to the hub with confirmation and status indication. Pilot-SG surge suppressors are required when the system is designed and installed with golf rotors containing integrated TWMs. 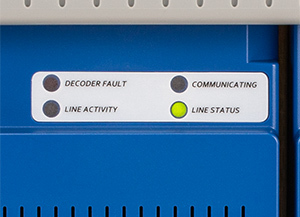 Integrated TWM systems require grounding with Pilot-SG surge suppressors coupled to an appropriate grounding plate or rod. Hunter recommends a minimum of one Pilot SG every 300 meters or 12 TWMs.